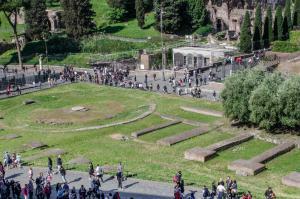 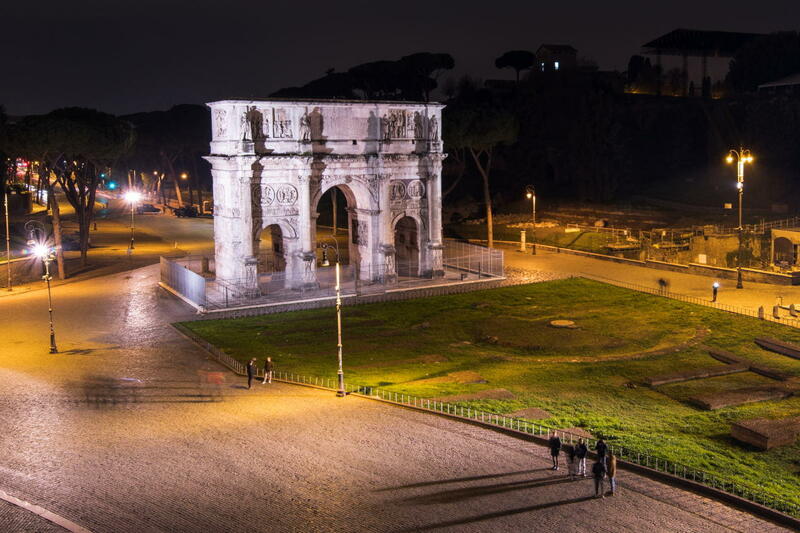 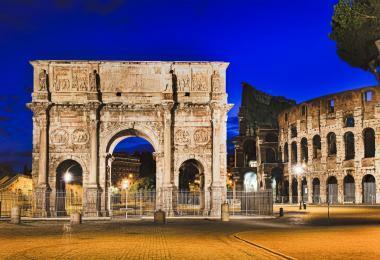 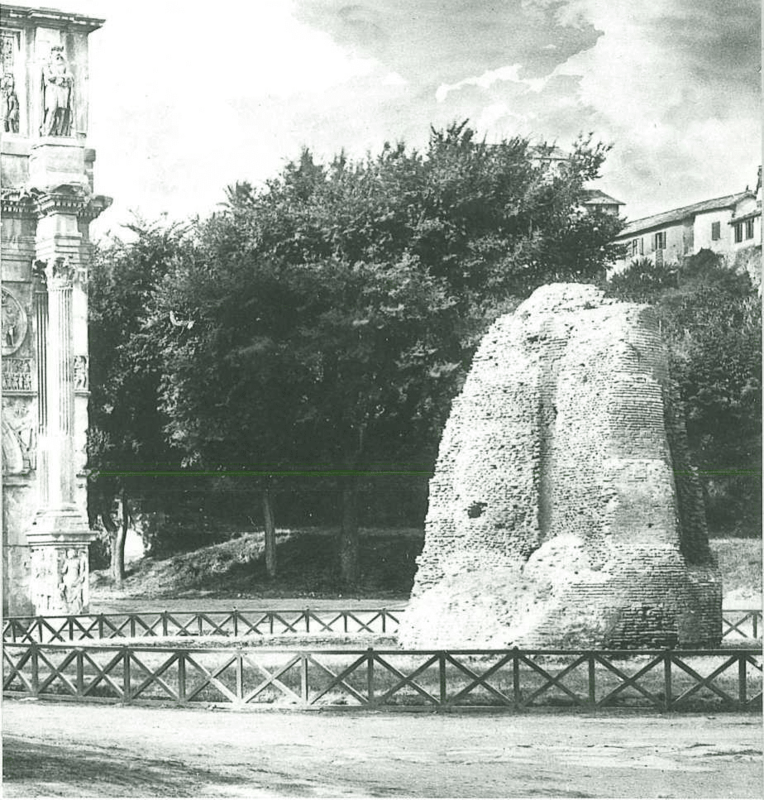 Meta Sudans is a marble-faced fountain and erected by Domitian (between ad 89 and 96 A.D.) in front of the Via Sacra. 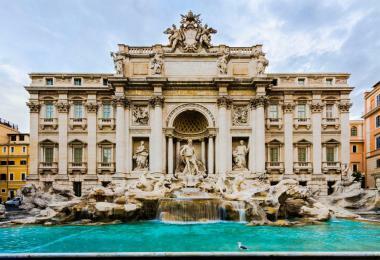 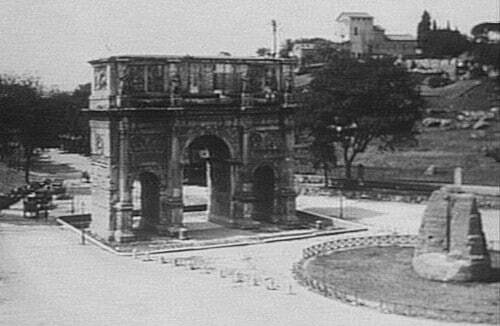 It was the largest monumental fountain in the ancient city. 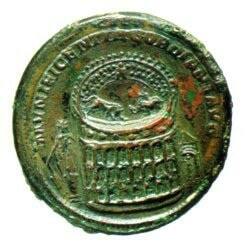 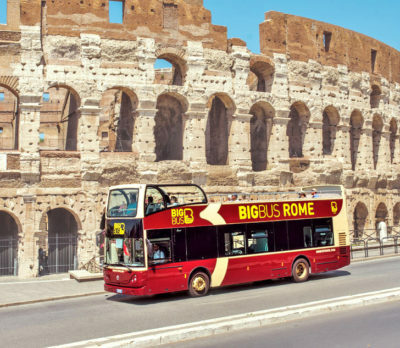 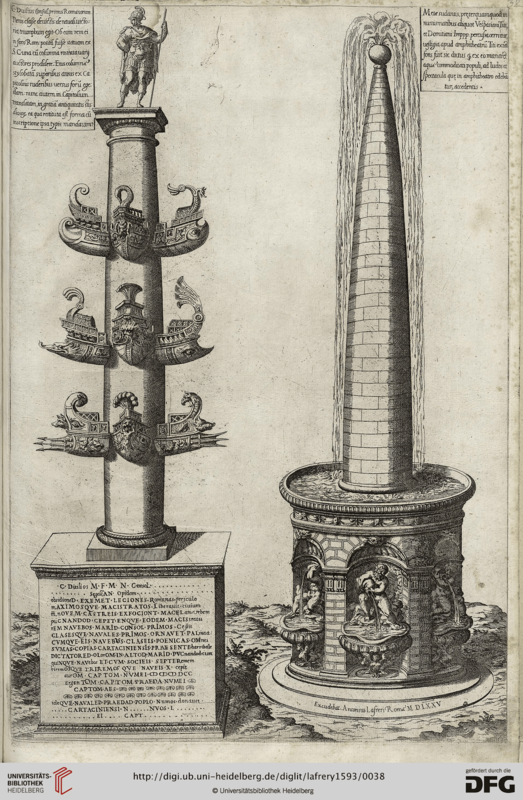 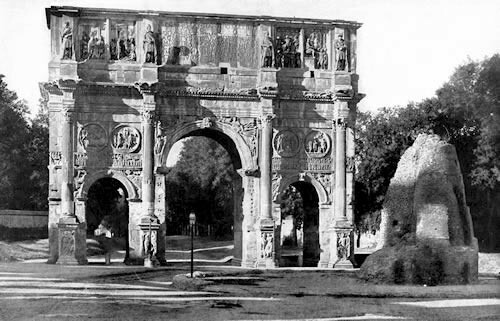 Meta Sudans was restored by Constantine the Great and took its name from its resemblance to the pillar (meta) that marked the turning point in the circus, hence its name, and sudans for the water that gushed out of it. 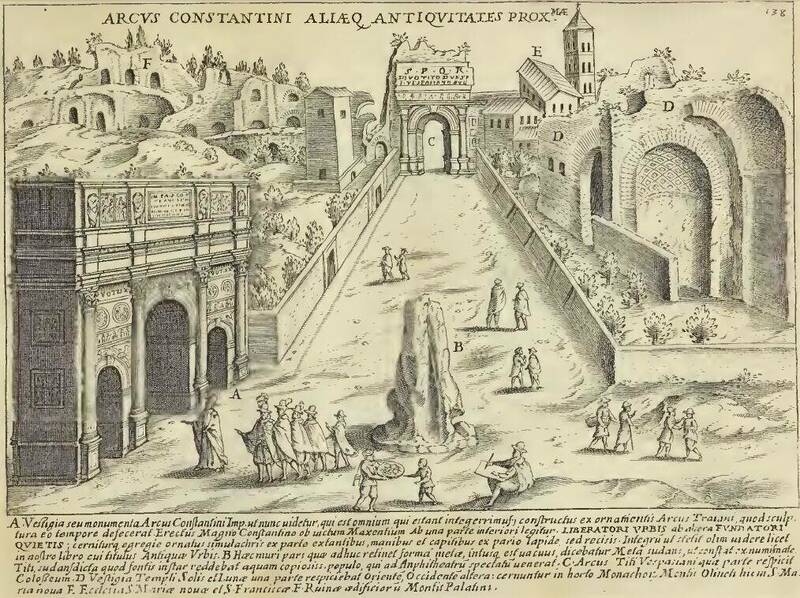 The ancient sources record that the house that was the birthplace of Augustus stood in this part of the valley: the conical shape, so original for a fountain, has therefore been explained by scholars as an allusion to the betyl, the aniconic symbol of Apollo, the god whom Augustus recognised as his patron. 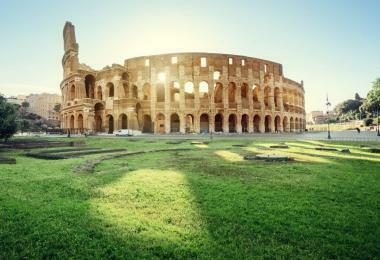 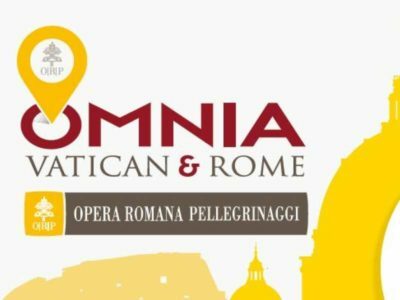 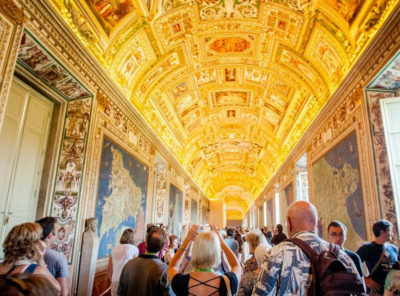 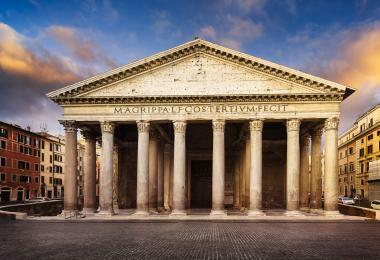 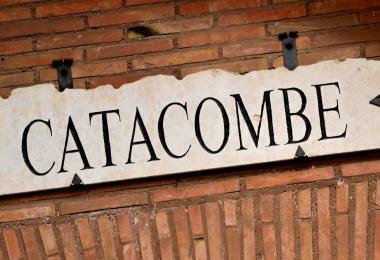 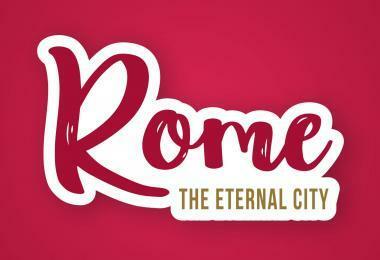 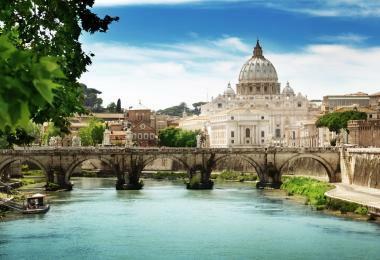 It was located at the point where four or five Augustan regions — the II, III, IV, and X, and perhaps the I – and as many major streets converged. 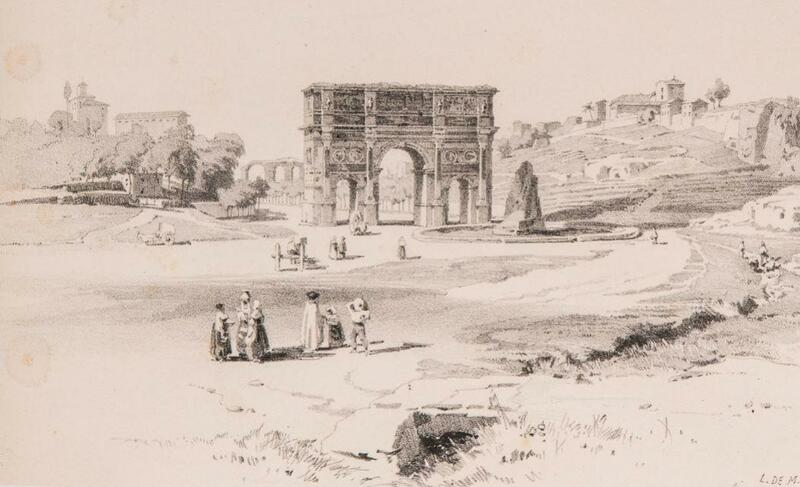 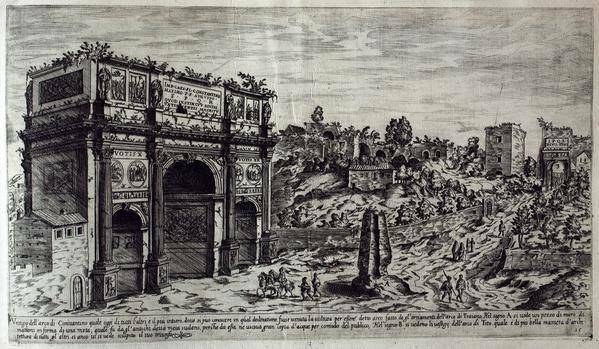 Arch of Constantine and Meta Sudans, 18 th century Italian drawing. 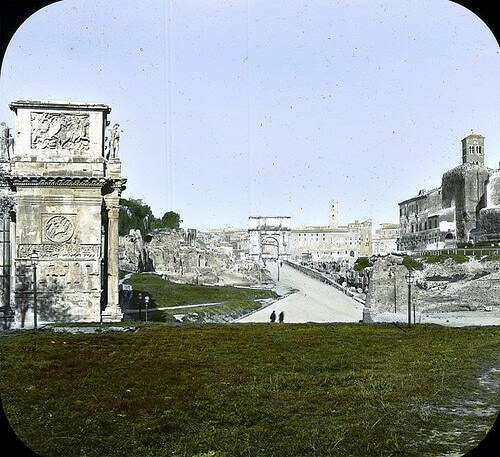 Meta Sudans detail. 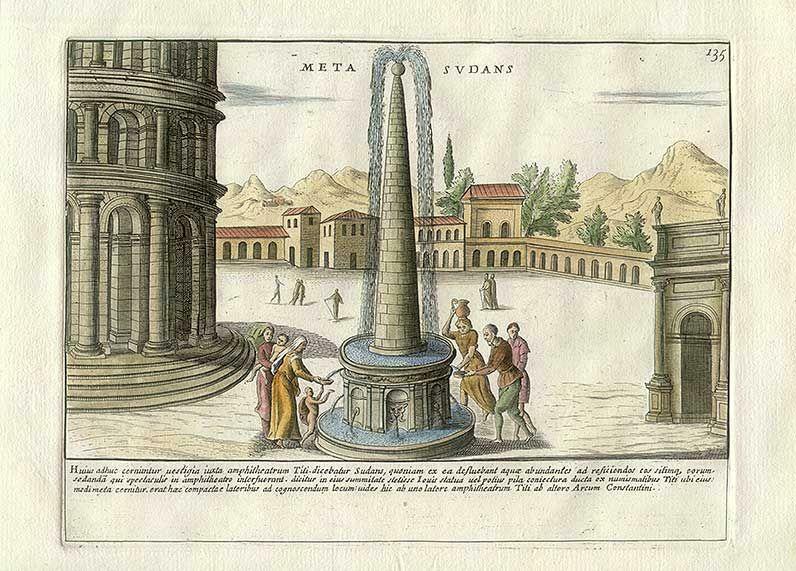 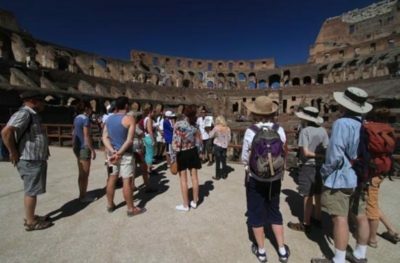 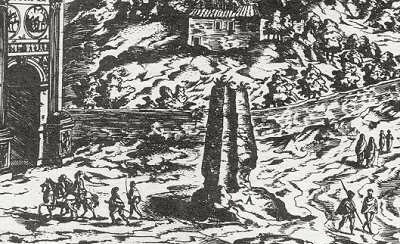 The fountain consisted of a cone (17 meters tall, with a diameter of 7 meters) and a large circular tub with a diameter of 16 meters. 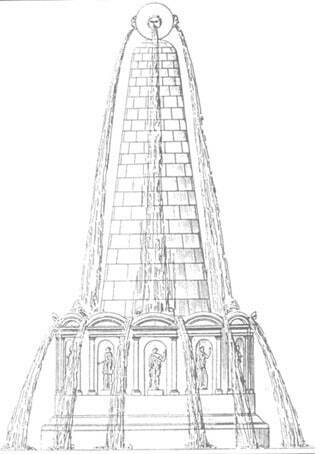 Its original appearance can be reconstructed from coins ofthe period, which portray the niches of the base and the floral element on the tip of the cone. 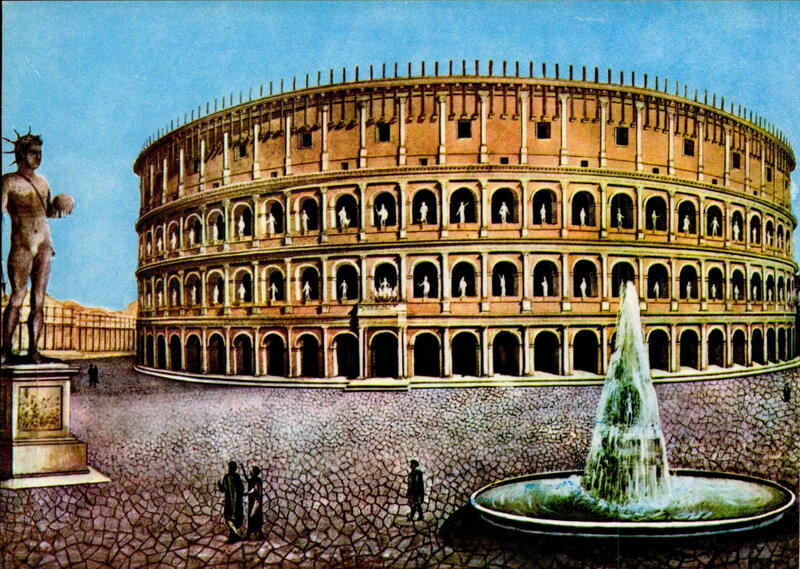 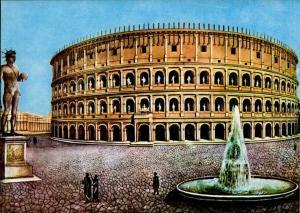 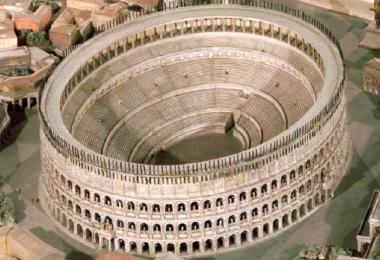 Imaginary reconstruction of the Colosseum, of the Meta Sudans of the Colossal bronze Statue of Nero. 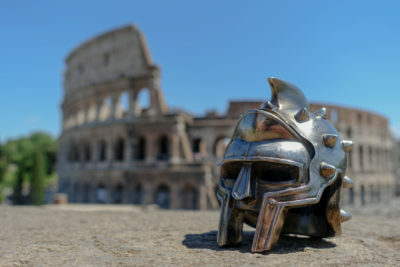 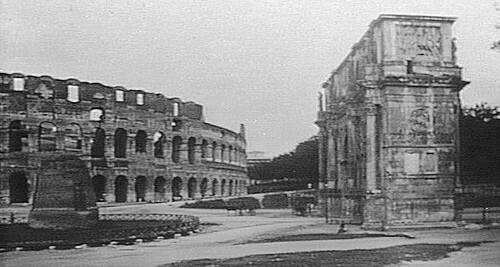 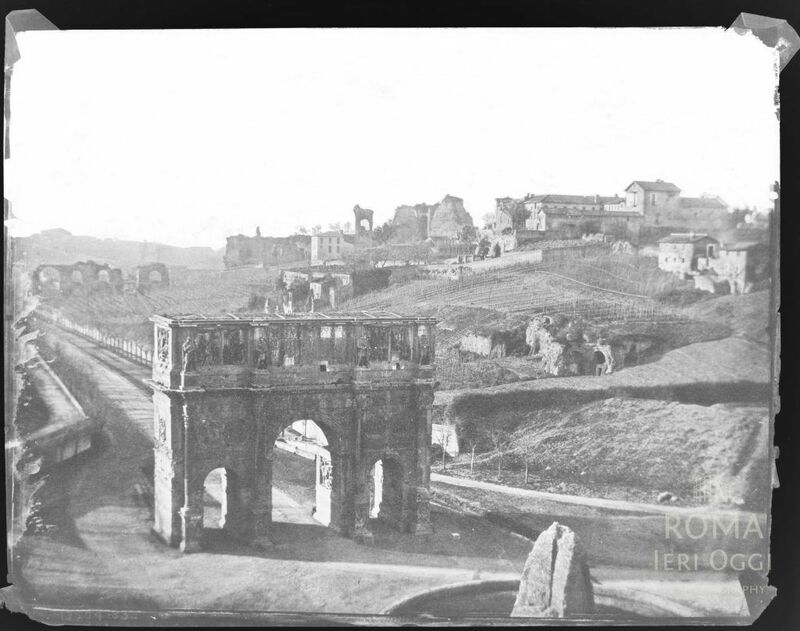 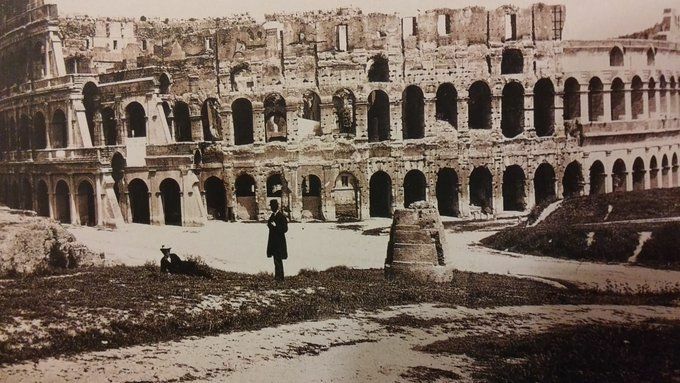 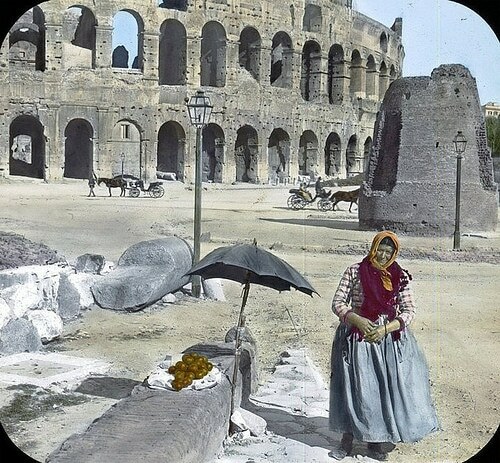 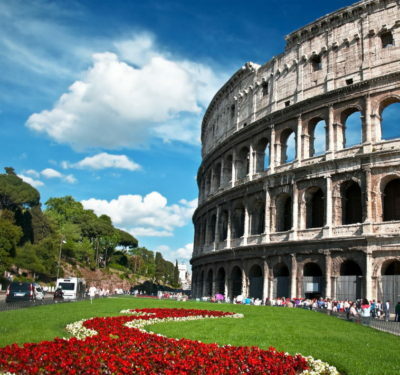 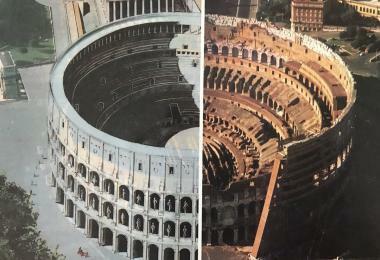 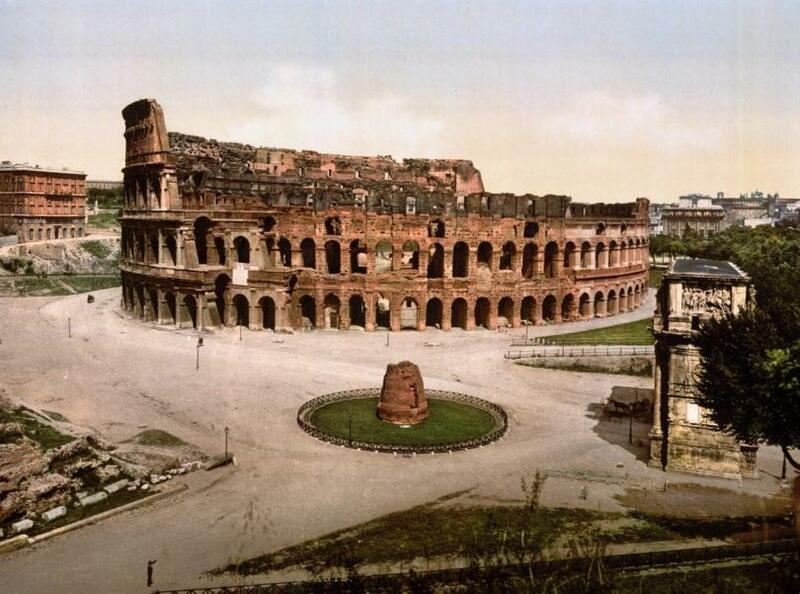 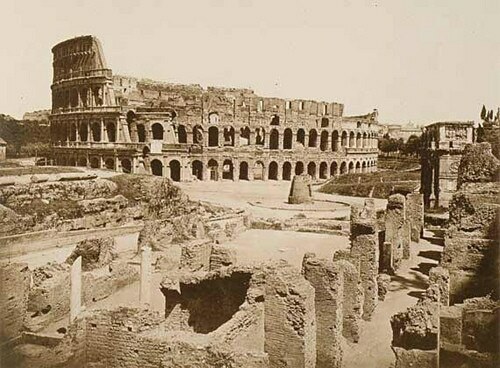 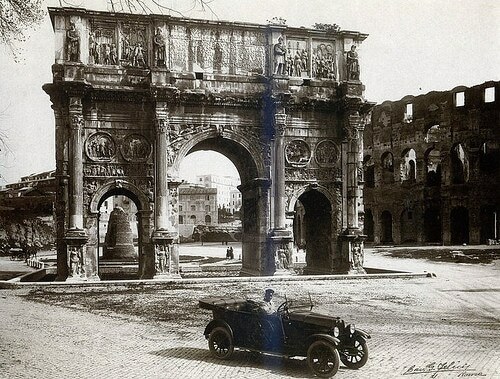 What remained of the monument, which is still clearly visible in photographs from the beginning of the century, was demolished, together with the nearby base of the Colossus, when Via dei Trionfi and Via dell ‘Impero were built in 1933.